While the Spanish Civil War was waged from 1936 until 1939, the Soviet Union cut a large amount of it's arms shipments after 1938. These 1938 dated shipments, according to "Arms for Spain" did contain large amount of M91/30 rifles. However, to date there has been no confirmed report of a Spanish marked M91/30 dated past 1937. With this in mind, I offer up the most compelling example of a possible 1938 dated Spanish Civil War Mosin Nagant. 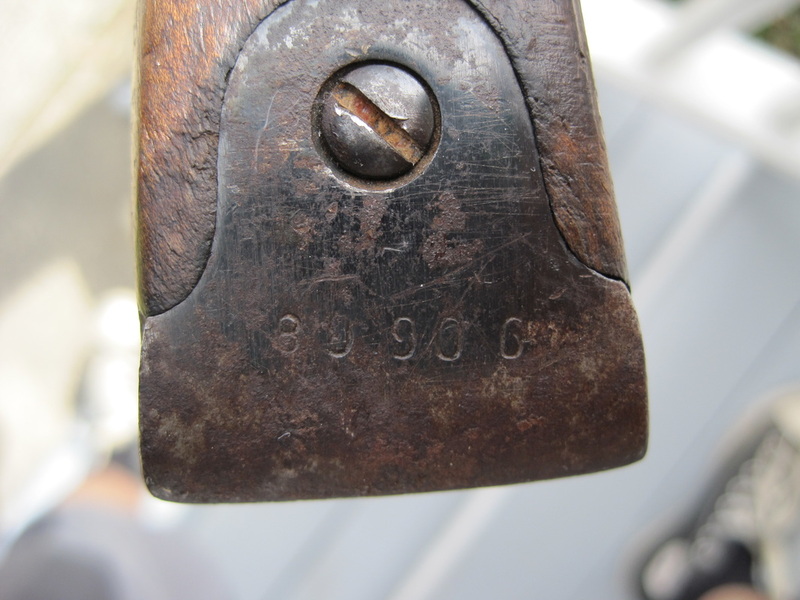 This rifle was picked up at an auction house in Harrisburg, PA in March of 2014. It is a 1938 dated Tula rifle, with no matching parts and no import mark. 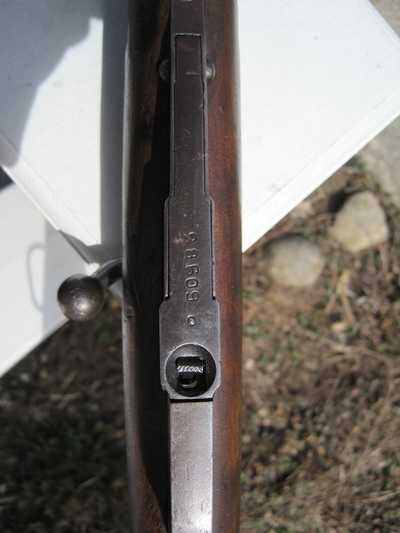 The bolt handle has also been swept back, most likely by someone after it was imported, though it seems to have been this way for some time. While the rifle itself doesn't have a definitive Spanish marking ("Made in USSR", MP8, ect), it does offer several traits that lean heavily towards a Spanish origin. Let's look at these more in depth. A very noticeable feature right off the bat are the wire hangers. 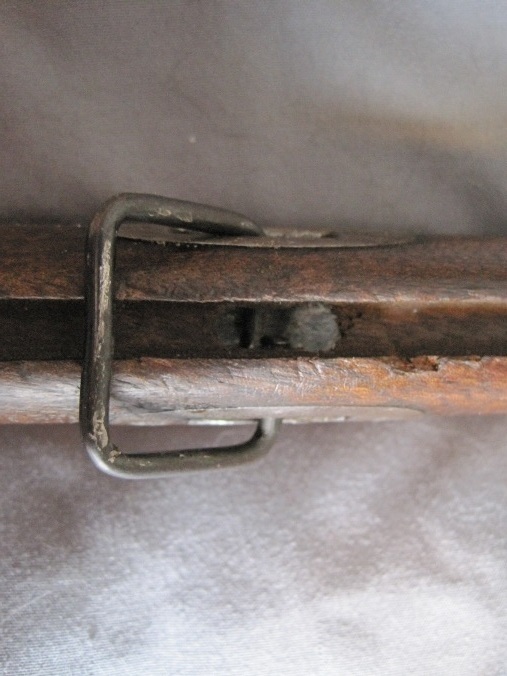 This rifle has them on both the front and rear sling slots, indicating they most likely were never removed. This will be important later on when analyzing other aspect of the rifle. Obviously they could be from a few different countries. They are a fairly thicker wire, comparable to examples found on other SCW rifles. The rear one has the wire bent in as I've noticed on numerous examples I've seen online. The front one has a bit thinner of a wire, but again similar to other SCW rifles. The rear wire hanger, with a distinctive bent portion. The front hanger, made of a slightly thinner wire. Another distinctive feature of this rifle is the Spanish style handguard. 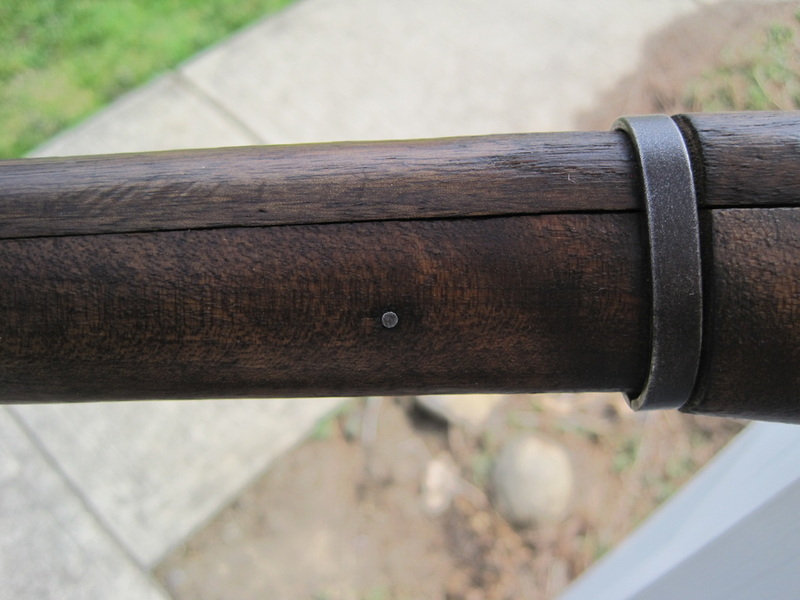 Like most examples of Spanish replacement handguards, the one on this rifle is all wood with 3 small brass pins on either end of the piece. 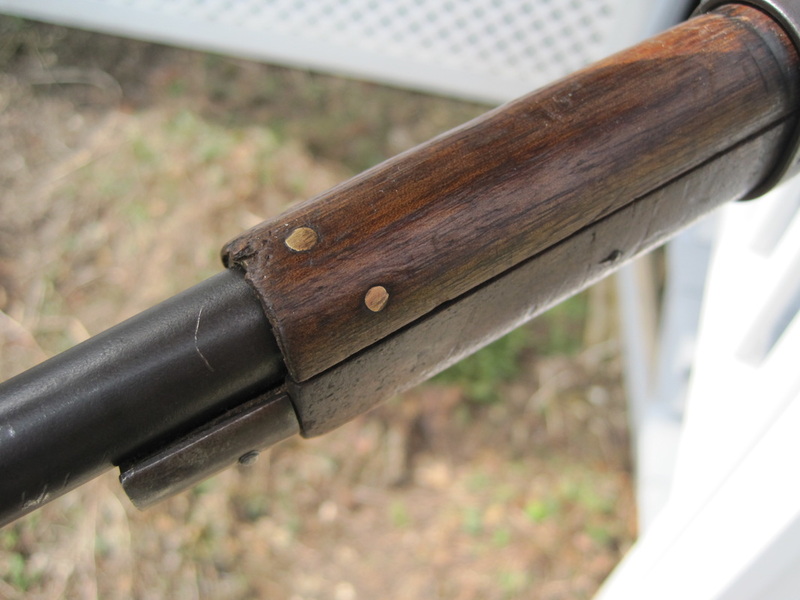 Underneath the handguard, there is a small brass reinforcement plate on both ends. The biggest difference between this rifle's handguard and typical Spanish replacements is that the small brass plate is being held in by screw and not simple pins. 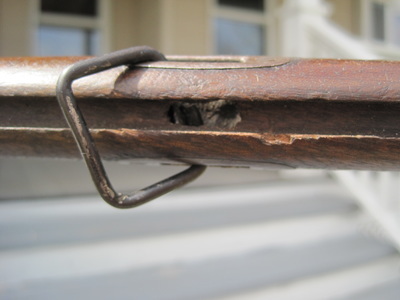 There has not been a known example of a Spanish handguard using screws of this style. 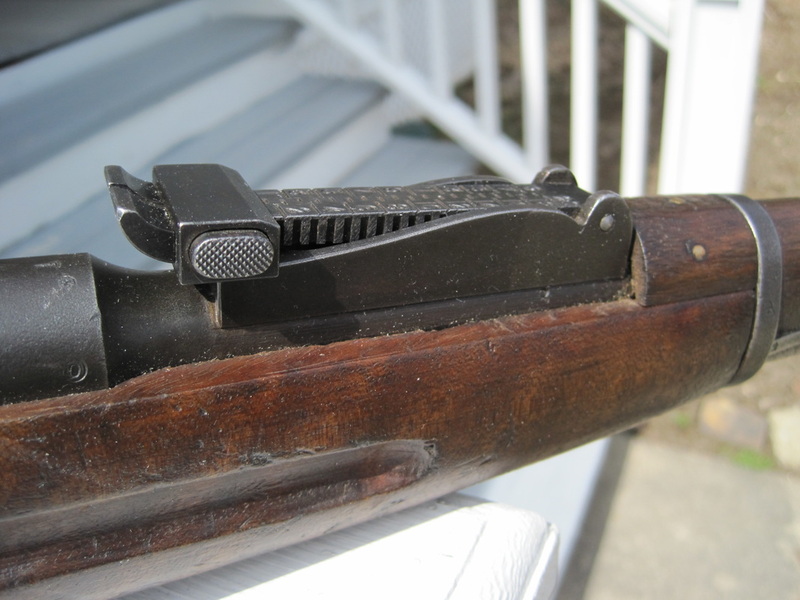 It can also be said, however, that there are no reported examples of handguards of this style (all wooden) being found on Mosin Nagants from any county other than Spain. 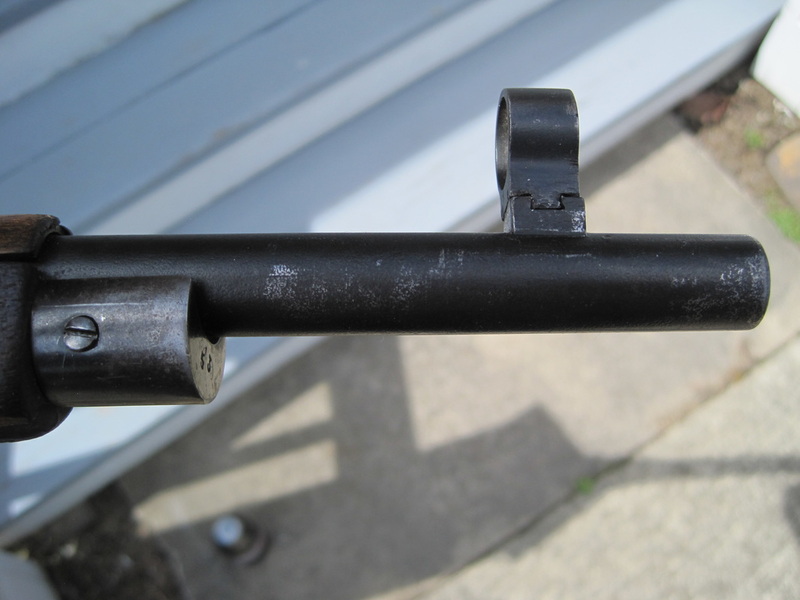 It is also important to note that since the front wire hanger is still on the rifle, the chances of this handguard being added stateside after it was imported are very unlikely. 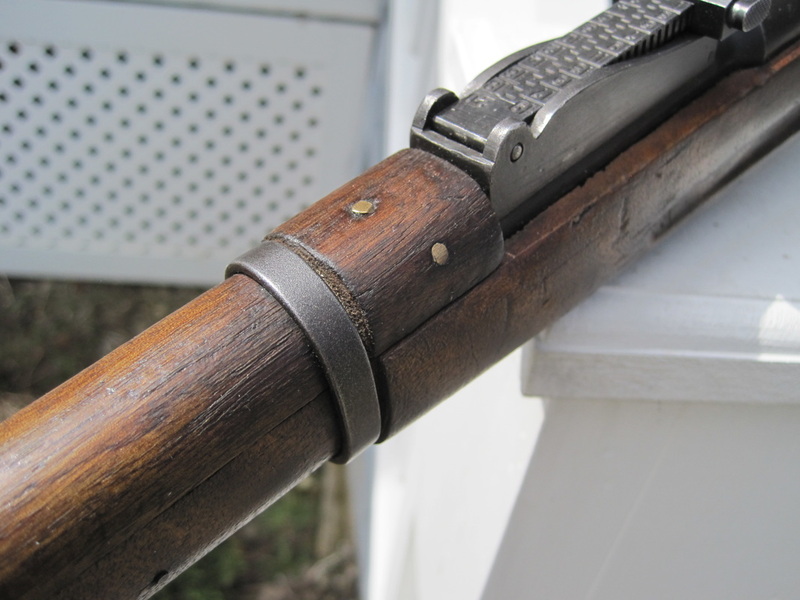 A view of the screw holding the brass reinforcement plate in place on the 1938 Tula. 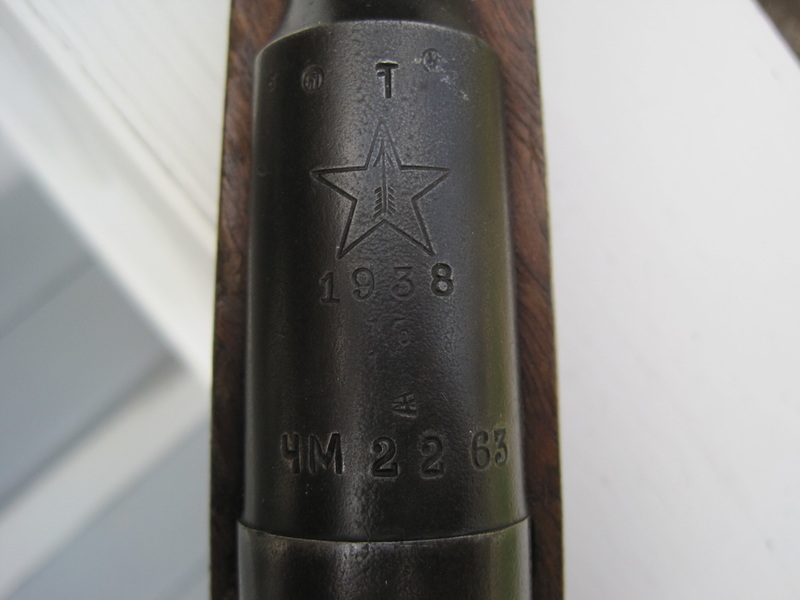 This is a comparison photo of a confirmed Spanish replacement handguard off a "Made in USSR" marked 1936 Izhevsk M91/30. 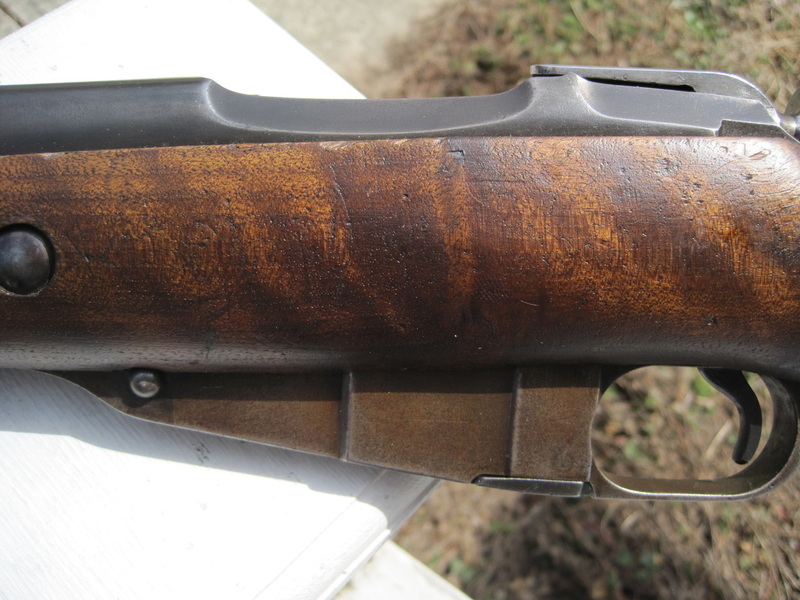 This stock on this 1938 Tula is also quite a mystery. It certainly is not Russian in origin, and is extremely thin. 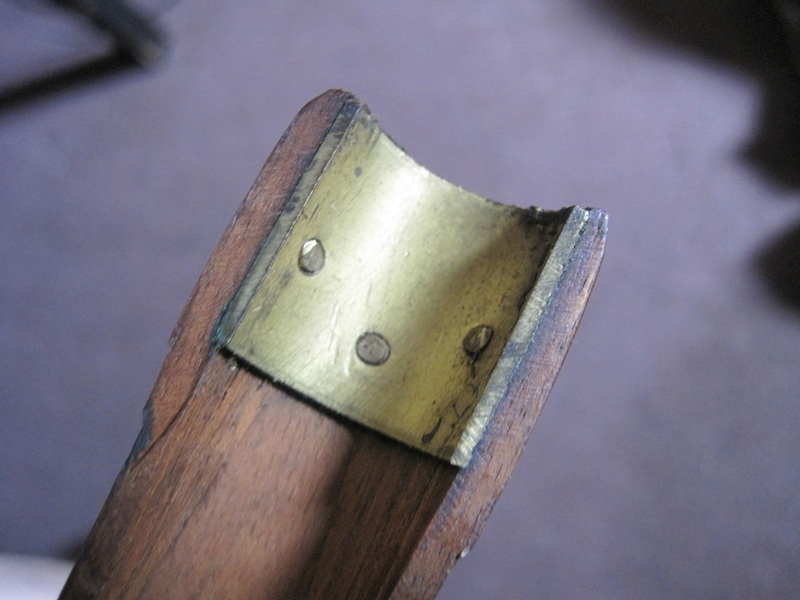 The grasping grooves are very crude when examined in detail and there is a distinctive grain to the wood. The stock of this rifle matches the handguard exactly in this regard and would seem to have the same origin. 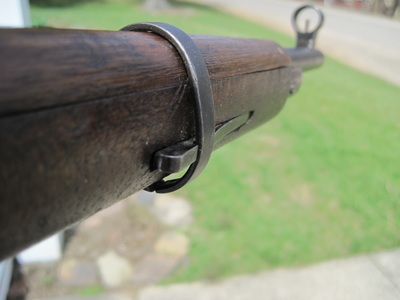 The stock is so thin that the barrel band retainers actually poke through the other end of the stock in a very large margin. 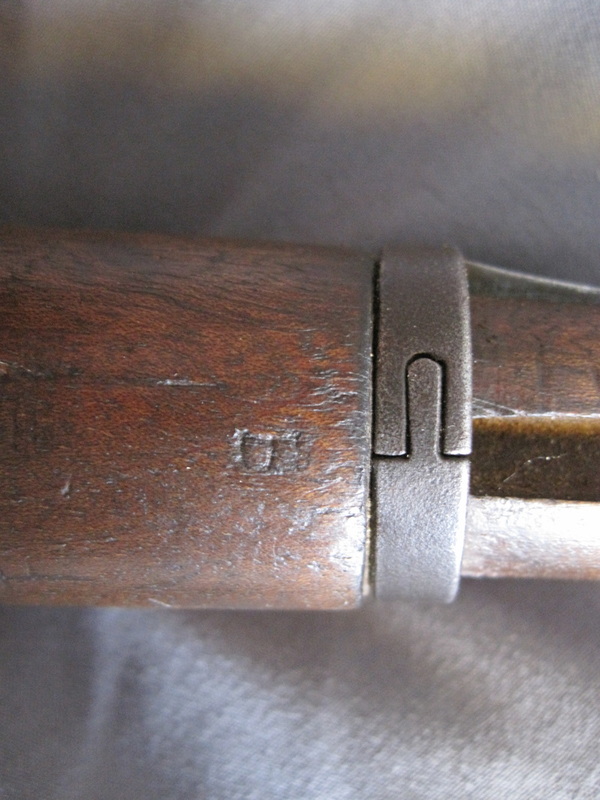 There is a single cartouche on the bottom of the stock right below the rear barrel band. The crossbolt is also centered in the grasping groove, almost in a Finnish fashion. However the build of this stock is nowhere near the level of Finnish craftsmanship. It is clear that is stock is not of Russian or Finnish origin. 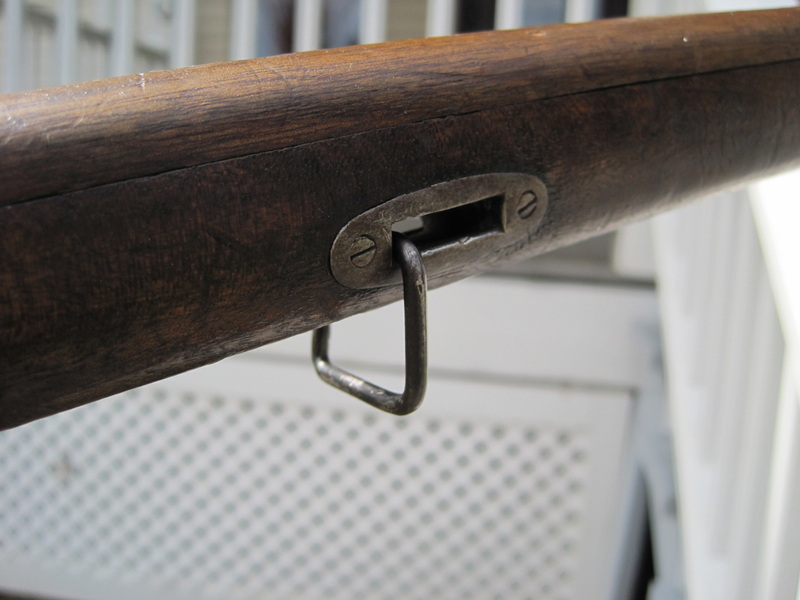 It would seem much closer to typical Spanish replacement stocks than anything else that has been seen on Mosin Nagants from other nations at this time. The barrel band retainer pokes out quite a bit on the other end of the stock. 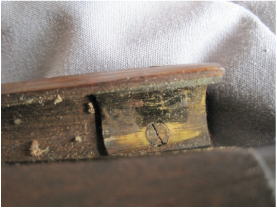 The single cartouche found on the stock. 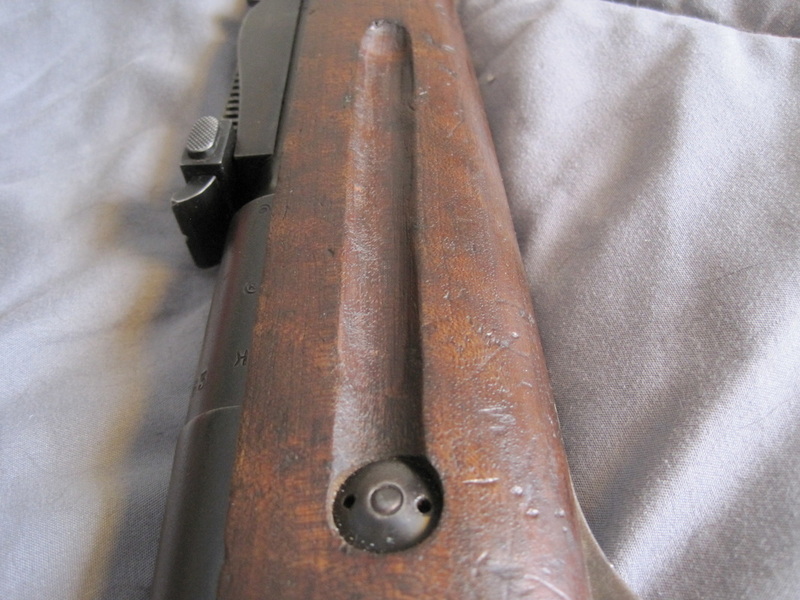 A look at the crudely made hand grasping groove of the 1938 Tula. The stock is very thin at this point, and has a small break where the wire hanger is. So what arguments can be made against this rifle being a Spanish import? The fact is that there has never been a confirmed example of such a rifle before. 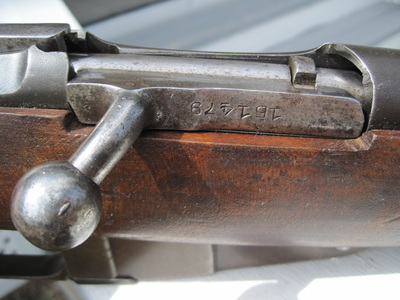 Looking at serial number of collected 1937 dated M91/30's with Spanish features, it's clear that these weren't being sent in such large groups right off the production lines that year. Therefore, it would seem highly unlikely that a 1938 dated rifle would have ended up in a shipment to Spain. However, given that shipments did continue into 1938, it's not out of the realm of possibility. So what can be said of this rifle? 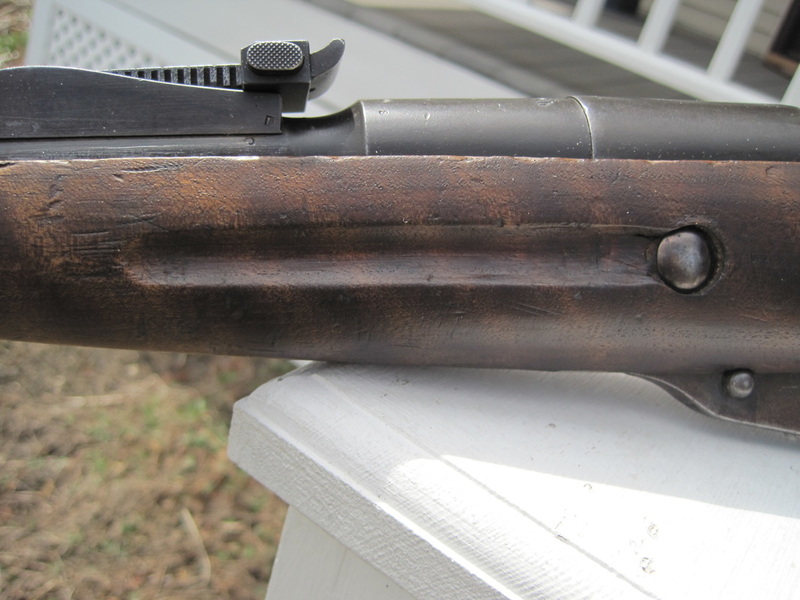 It's clear, due to the front wire hanger still being attached, that the barreled action and stock of this 1938 Tula have been together for quite some time. Therefore, it could be easy to conclude that if the stock and handguard are Spanish replacements, then this rifle is proof that 1938 dated M91/30's did make it to Spain before the Civil War ended. However, this cannot be fully proven at this time. The blued receiver and lack of any other known examples of 1938 dated SCW rifles make this argument a tricky one. In any case, this rifle offers the best argument to date for the existence of such a piece. In conclusion, a 1938 dated Spanish Civil War rifle, or a relic of another country? I leave that for you to decide.